The United States secret service warned yesterday that American banks need to be on high alert to ATM "jackpotting", a scam that has proliferated throughout Europe and Mexico, the last few years. Essentially, "jackpotting" is known as a method that thieves use to contravene an ATM's security by opening the cabinet, putting in a laptop with a certain "skimming" program connected to the port and closing the machine. Then a "dove" comes by to operate the ATM, calls the first thief who activates the code remotely to allow the machine to empty it's cash dispenser, sometimes up to 23 notes per second. The thieves often work in pairs, often dressed up like electronic repairmen, with sign written uniforms and vehicles, easily conning staff at ATM locations to let them in. A large issue stems from the manufacturers of the ATM cabinets that are apparently using a uniform standard key lock on all cabinets. All locks are keyed alike, allowing for many different people to have access to the key and the locks. About 25 years ago, I worked for a large metropolitan security patrol company that were contracted by banks to refill empty ATM's. The security control center monitoring station would send three (3) patrol cars to every ATM refill request. Each ATM was housed in a solid cabinet and controlled with two (2) separate mechanical dial combination locks, that also had lockable dials. One patrol officer would have the dial lock keys, one patrol officer would be given the combination to lock A and the other patrol officer would be given the combination to lock B. The security was taken very seriously and using multiple people provided multiple required credentials and physical presence to complete the ATM refilling task. These days, I see it often where a lone technician is often called to perform an ATM service at a bank or a convenience store or a bar etc. I think that it is especially important to have multiple people in attendance for security reasons, especially where hard currency is involved. Often, locksmiths and safe technicians would maintain contracts with financial institutions to regularly attend the ATM site and change the dial combinations regularly, to prevent unauthorised knowledge of combinations to be reused over and over. Perhaps a new opportunity for would be locksmiths and safe technicians exists to set up maintenance contracts with financial institutions to regularly alter the combination locks on ATM machines. This new product is an interesting idea. The worry today, about the security of our online information and accessing that information, continues to be a very present concern for people of many kinds. Securing your information can almost be as vital and important as securing your home or office, sometimes more. Computers are progressively taking over all our lives and the quantity of IoT (Internet Of Things) products continues to increase across the market quite rapidly. The Aegis Padlock DT - USB 3.0 Hard Drive uses an inbuilt digital keypad that requires the user be present to be able to access that drive. While this may seem counter-productive to cloud based information storage systems, today storing our information in the cloud, securely while having continued access to it, without having to pay to access your own data, seems to be a thorn in some peoples sides. 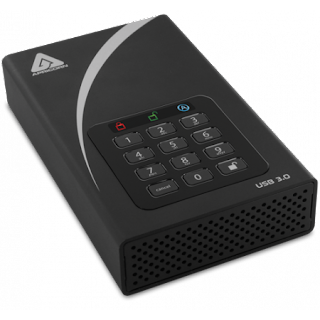 Available in different storage capacities, this product may suit a consumer concerned with better security of their data, especially having a person be present to allow the drive to be accessed. If this contributes to a more secure future for would be users of the computer it is connected to, then perhaps it will see traction in the wider market. The source below will reveal the product page, cost and attributes. 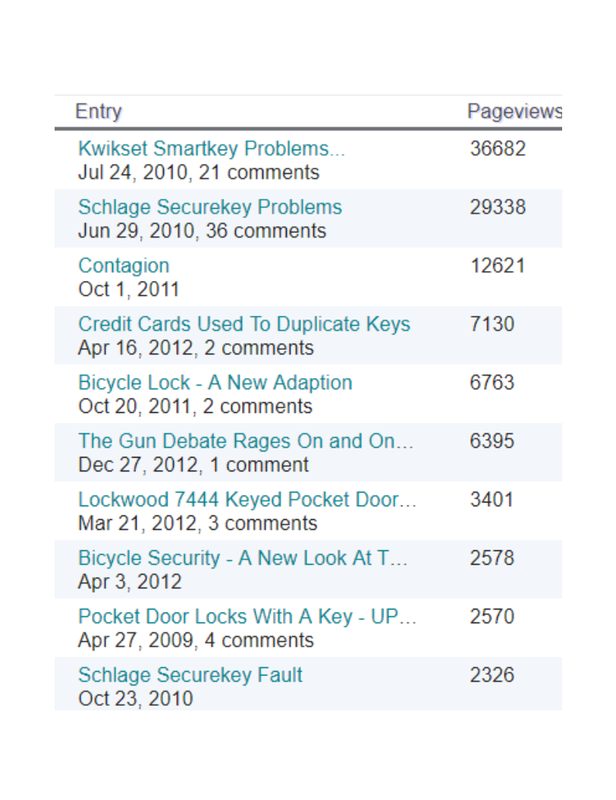 Pictured above is a list of our all time most popularly viewed posts, including their publication date, pageviews and number of comments. When we began writing this weblog, we hoped to receive a few visits from readers of the world wide web and are reasonably happy with our progress. When we began writing this blog in 2007, we thought it might provide our main website and consequently our penetration into the wider market, we had no idea that it would prove as popular as it has. While we could be posting more often, for being a micro-business, we just havent the staffing levels to support enough authors, editors and trained staff to operate the multiple tasks needed to keep the business operating. Therefore, we are only finding limited time to write new content. 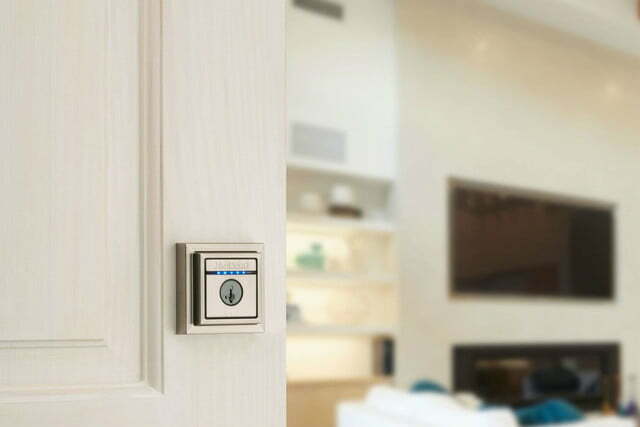 Breaking News: Two companies already owned by Lock Industry monolith Assa-Abloy, have decided to merge and form the start of Assa-Abloy Electronic Security Hardware. HES are a well known manufacturer of electric strikes and electronic access control products that have dominated the access control industry for over 40 years. Their continued wide ranging use in residential, commercial, institutional and industrial markets, cemented their market dominance. Securitron, began operations in 1977 with the release of their patented "E Profile Magnetic Lock", a game changing product that dramatically increased physical security protection for entry points. Throughout their years, Securitron have continued their impressive research and development initiatives and released market changing products including, but not limited to, "Touch-Sense Panic Exit Devices" among other products. Assa-Abloy recognized the important and unique research and development by these two companies and separately, bought them out at different times in the last few years. Assa-Abloy has maintained a policy of limited interference in a company it has purchased, allowing many of those companies to continue their business models, but with the strength of the Assa-Abloy Conglomerate, propping up and supporting them, keeping them financially viable and producing. This decision, by the two companies to merge their operations under their parent company Assa-Abloy Electronic Security Hardware, comes as no surprise to market players. Assa-Abloy recently completed the acquisition of August, the startup company who produced a market leading residential security add-on, that converts an existing residential deadbolt lock into a bluetooth/WiFi controlled access control point, but (as it's unique selling point) without requiring a user to replace their existing deadbolt lock. Market observers are keenly keeping eyes on Assa-Abloy to see which other companies (already under their umbrella) will be added to this new Assa-Abloy Electronic Security Hardware division. Classroom Security has been becoming an alarming and increasing issue across North America in recent years, with the increasing numbers of armed intruders causing havoc to junior elementary (sub-primary), elementary (primary), junior high school and senior high school campuses, as well as a number of higher education colleges and universities. Intruders, often bullied former students or disgruntled staff members, are fast becoming a major thorn to the security of our children while they are at school. Delaware State House of Representatives, this week is currently debating and voting on a major policy change and update, aimed at increasing significantly, the security hardware and protocols at all the states schools, colleges and universities. Many schools across the USA, already use quality door lock systems to secure doors, but many of the existing measures have been found wanting in recent times. This has caused much angst by parents and teachers, concerned with offering quality education to our children in safe, secure environments. There are a great many products across the wider marketplace that already offer significant strength and security, but too few schools are bothering to spend the necessary investments to protect their faculty, staff and pupils. 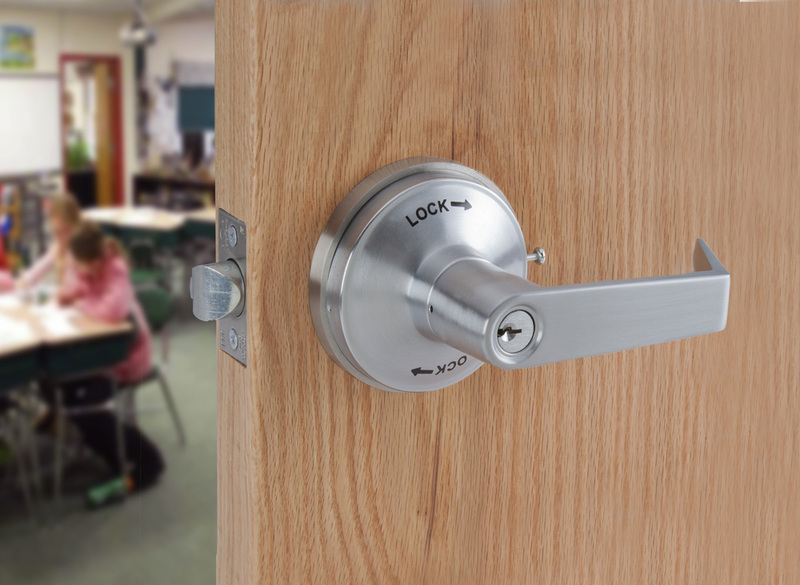 There are many different brands of lock systems that provide increased strength and design, to better protect our children, including double cylinder lever entrance sets (called Classroom Locksets), including but not limited to Yale, Corbin, Schlage, Arrow, Assa, Abloy and many others. 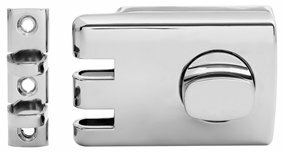 Essentially, "a double cylinder classroom lockset functions like almost any other lever or knob entry set, except that it uses an internal keyed cylinder to enable the locking of the outside handle, while ensuring the inside handle remains unlocked and still easy to escape through, if required (maintaining life safety and International Building Code policies and rules)." Some schools and institutions are spending millions of dollars to increase the security of their classrooms and entrances, but often they neglect to ensure that doors and windows include bullet resistant glass or resistant window films. Many seem to believe that the quality lockset and an alarm system will provide enough security to prevent an armed intruder from wreaking havoc through their schools. Delaware are debating the inclusion of alarm systems, bullet proof accessories and double-keyed locksets. In our 35+ years of locksmithery across the world, we have installed many locksets to school entrances and classrooms to increase the security of these doors. In one case many years ago, one school decided to install double cylinder deadbolts to every door, as recommended by their security analyst and architect, before consulting with professional locksmiths, who are deliberately trained in physical hardware that complies with life safety, building codes, insurance requirements to protect would-be users of these rooms. Our company was asked to install according to the plan and completed the request, against our better judgement, while warning the school officials that their desire was not legal. One week prior to the opening of the new school term, state and local inspectors came in to certify the school for opening, but when they saw the double cylinder locks fitted to all doors, they immediately failed the school because they did not comply with building and life safety codes. Our company was once again called in to rectify the issues with new "approved" products that met or exceeded the codes, adding significant cost to the project. Our company worked overtime to complete the task prior to the school opening on time. This reinforces the point that involving your local trained professional locksmith can and will augment your bottom line costs and save you considerable angst and compliance issues down the road. There are many professional locksmith companies across North America, that provide trained professionals with field experience that are able to provide best-case-scenario advice, that will help any organization to increase their physical and electronic security measures, without breaking the bank. A news article appeared December 30, 2017 in the local Columbia Missouri newspaper "The Missourian", explaining that Columbia Police Department have decided to refer all customers who call 911 and Boone County Joint Communications to an on-call locksmith. The usual method to service a would be 911 caller is to provide police service attendance and then that officer usually calls a locksmith with the client in attendance. The new directive will be to simply refer to a locksmith phone number. The change in procedure is designed to better serve the interests of the community and the police service, by streamlining operations and saving time and money for arbitrary police calls where police can be better directed to more pressing police matters. One certainly hopes that the police department becomes sure to send to a bonafide locksmith company and NOT the legions of fraudsters preying on innocent consumers with bait and switch pricing and massive over charging. For Columbia's 250 or thereabouts lockout requests a year, this action will serve to save the city/county some money and a lot of time and inconvenience for both the customer and the city. The Lockwood 303/355 range of surface/rim mounted deadbolt locks offers a unique security product that effectively connects your door and frame together, preventing a common door bypass technique known as frame spreading. You may have heard or seen an old product that has been around for many years known as the Segal Jimmy Proof Deadbolt. The product has been loved for over a hundred years by many dwellers for its simplicity and its security. The Jimmy Proof deadlock uses two pins that drop vertically through a two ringed strike plate, physically attaching the door to the frame/jamb. The lock usually holds to the door with 6 screws, 2 for the outer cylinder and four for the body of the deadlock. The product pictured here is the Australian Lockwood 303/355 Claw Bolt Rim Deadlock, that uses 2 screws though the inside plate assembly to attach to the external key cylinder and a further 4 screws to attach the plate to the door. It also uses additional side mounted screws to attach the deadlock body to the internal plate. The strike plate consists of a two part unit, with two hardened metal rings and a cover plate that are attached with 3 long screws anchoring the strike to the jamb. The separation of the two parts on the strike adds a laminating effect which further increases the strength of the application. We also include an image of the Bilock Extreme Security Rim Cylinder, which can be used externally to provide 100% Bump Proof and virtually Pick Proof external keyed access. The product is a highly sought after incredibly strong deadlock that increases your security tremendously. Not especially beautiful, but available in Satin Nickel or Mahogany Brown, if you dont mind having a large deadbolt on your door, you can rest assured that the security is second to none, worldwide. Other manufacturers over the years have produced similar products, like Yale and Abloy. The Abloy SuperStopper version was a Black Steel Super-Hardened Body with Stainless Steel Turn Button and Stainless Steel Strike Plate. It was quite expensive and saw few sales in it's time before being discontinued. I have installed both the Lockwood version and the Abloy version during my career. I have also installed the Yale and the Segal a few times too. Many consumers will be familiar with Ring. The connected smart home doorbell product that attempted to win a sizeable investment when it debuted on Shark Tank a few years ago, since exploded on the scene with backing from multiple other investors. Few perhaps fail to understand that the technology is based on patents belonging to another company. 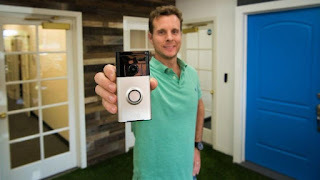 Skybell claim to own 71 patents related to the very technology that Ring have allegedly copied and use in their range of products, severely curbing and hurting the ability of Skybell to be competitive in the market. The suit relates specifically to 3 patents that Ring are alleged to have copied, as a result of collaboration between managers of both companies during the initial research and development. The start-up industry is indeed a murky environment, inhabited by many jealous players and sinister types who will do almost anything to beat out a competitor, but outright theft of intellectual property is a really dastardly thing to do. We will be watching this story with interest as it unfolds. Kwikset Kevo Contemporary - New Advancement To Their Range Features "Touch Locking"
The Consumer Electronic Show is in full swing currently in Las Vegas and continues it's 50+ year history as a showcase for the future of electronic technology and products that "may" come to market in the next year or few. Kwikset are no stranger to CES and continue this year to push the boundaries of technology advancement with the release of their new Contemporary Range of Kevo Connected Products. Kwikset are one of the largest manufacturers of door hardware in the North American market and continue to provide builders and dwellers with a wide range of door hardware in varying styles, colors and configurations. This Kevo product has been around a few years now and offers users a Bluetooth wireless experience to augment their "keyless" range of products. 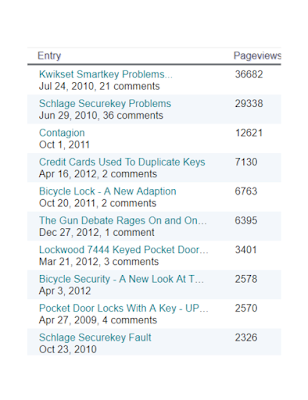 I use the term "keyless" with care here, because Kwikset are not actually releasing non-keyed hardware (as that would defeat the reason they exist in the first place). They still offer their range of "Smart Key" cylinders across their vast range and continue to improve the strength of the cylinder product. As a veteran locksmith technician, having worked with Kwikset products over 35 years and worldwide, I am not a huge proponent of their range, but it is functional and competitively priced even though I think it is actually garbage. There are many competing brands that are significantly better quality and competitively priced that can also be keyed alike with Kwikset keys, that are often more aesthetically pleasing, easier to operate, functional and last as long, if not longer. Visiting your local locksmith to learn more about the other brands that offer competitive value to Kwikset, can be well worth your advantage. 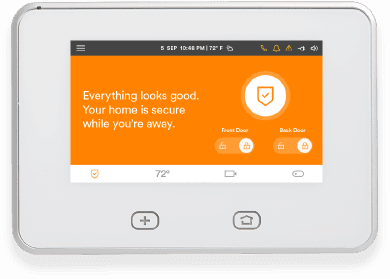 ADT - One of America's largest alarm and security companies announced last Thursday that they have settled with Vivint Smart Home an ongoing lawsuit over Vivint's use of deceptive sales practises. Vivint Smart Home, which began life in 1999 as APX Alarm Systems in Utah has settled multiple lawsuits over the years in relation to deceptive sales tactics with Texas, Pennsylvania and Wyoming. 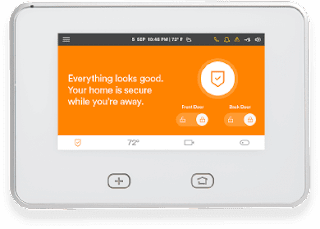 Vivint rebranded from APX and entered the residential home security market to offer customers "connected" lock and alarm systems in the burgeoning "Smart Home" market. They make use of modern technology products including wireless door locks, alarm panels, camera's, door bells, thermostats etc to offer prospective clients a modern "connected" smart home. Breaking News: OTTO Closes Down. Otto displayed their new entrant to the digital deadbolt market back in August 2017 with a great deal of hype. The system purported to be a high quality top end system aimed at the residential home security market. Promising features and high quality manufacturing priced the new product at the upper end of similar offerings. The IoT (Internet of Things) industry has brought a great many new players into the market and industry in recent years and home security products purports to be a $20 Billion - $30 Billion dollar industry and constantly growing. There are no end of new products coming to market to whet the appetites of consumers, each with varying product features and uses. WiFi, Bluetooth, NFC, Deadbolts, Door Handles etc all vying for a piece of the pie. But to corner a part of the market requires some capital and longevity in an industry that is truly dominated by few worldwide corporations that essentially own the market. 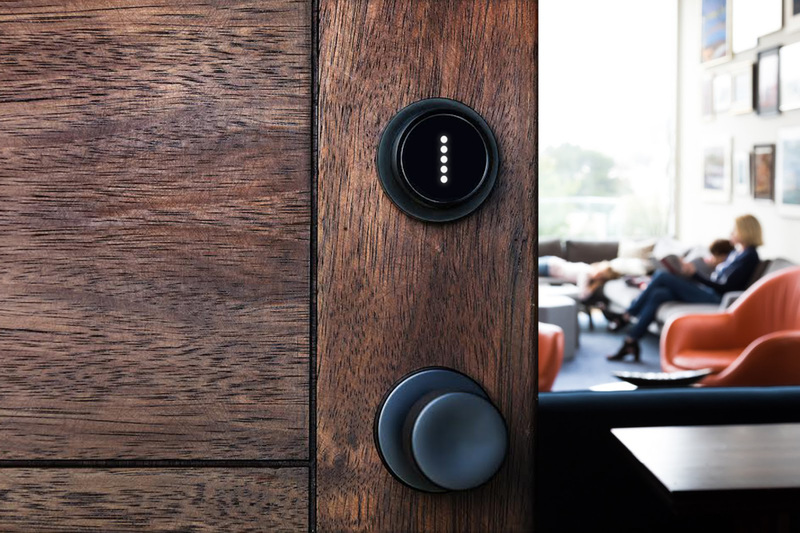 Assa-Abloy is well known as the worldwide leader in manufacturing of access control, locking systems, hardware for commercial and residential entry systems. They have many competing companies under their umbrella and are well known as a builder of high quality products. They have the resources to continue to offer many of the leading and most desired products in the industry, across the planet..
Otto have become the latest startup to fall victim to a crowded market. They were just in the process of finalizing a corporate takeover of their company, when the buyer pulled out. The ensuing damage damned the fate of this Silicon Valley startup, before they could get their product out to the market. They now have a warehouse full of product unable to be sold and are facing complete shut down.